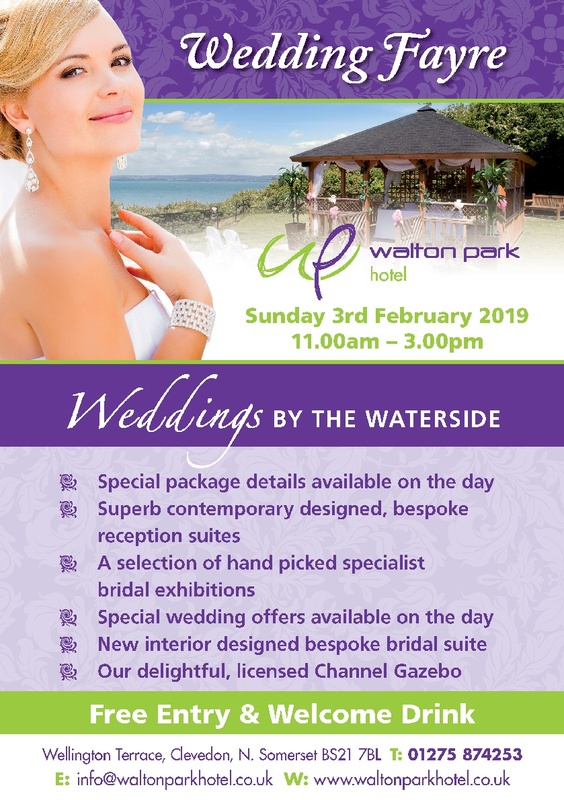 You are cordially invited to our annual wedding fayre at the Walton Park Hotel in Clevedon. Save the date! 3rd of February 2019, from 11am to 15:00 pm. Come and meet some of the best wedding suppliers from the area. Also, you can enjoy a free welcome drink and get to know more about our gorgeous venue (and its licensed Gazebo) near the sea and our fantastic events and weddings team (we will offer details about special packages on the day).